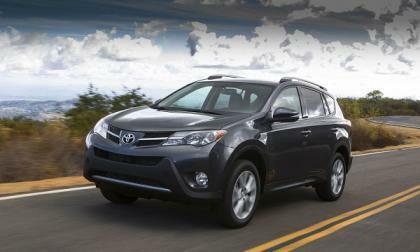 The second year of the 2014 Toyota RAV 4 does not offer any power or safety improvements. 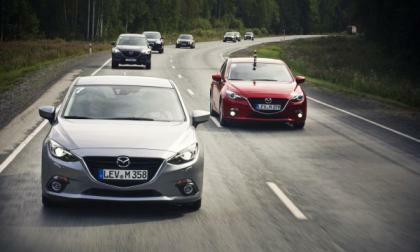 Will that slow the tremendous sales surge the vehicle has had? 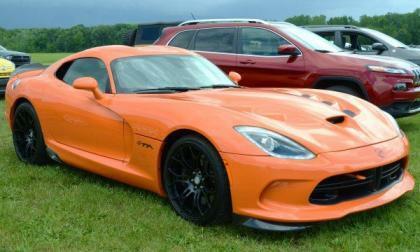 We brought you the news roughly a month ago about the 2014 SRT Viper pricing increases and with pricing becoming available online for the entire SRT lineup as well as the full 2014 Jeep lineup – it looks like many Chrysler Group products will cost more for 2014 than comparable models in 2013. 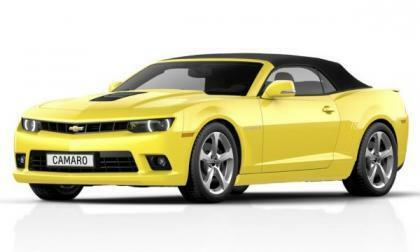 General Motors has opted to use the 2013 Frankfurt Motor Show to officially introduce the 2014 Chevrolet Camaro Convertible – marking the second time that the American automaker has chosen a non-American auto show as the debut venue for one of their drop top performance cars after introducing the 2014 Chevrolet Corvette Stingray Convertible in Geneva. 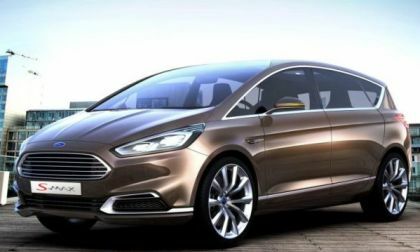 Among the many debuts at the ongoing 2013 Frankfurt Motor Show is the new Ford S-Max Concept – a sporty looking family vehicle that sports the same Evos design language as the current (and very popular) Fusion, Fiesta and Focus. 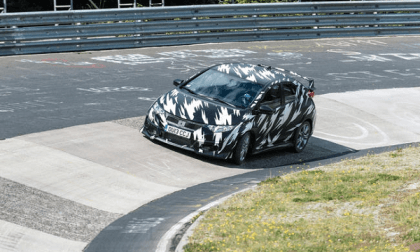 Honda has released information, video, and photos about the coming 2015 Civic Type R and it breaks all the rules. 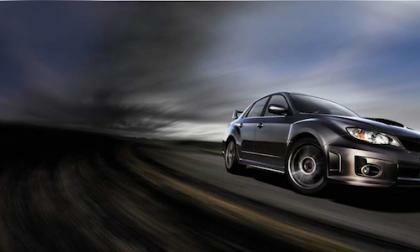 Subaru has released an all-new 2014 Impreza WRX and WRX STI interactive online brochure to give fans a sneak peek at the high-performance Impreza. 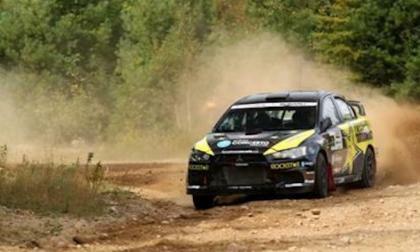 The Mitsubishi Lancer Evo driven by Antoine L’Estage wins the third event of the Canadian Rally Championship staying close to first place Subaru. 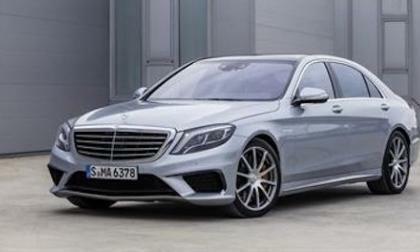 Mercedes-Benz has announced pricing on the new 2014 S-Class luxury saloon and prices reflect a price/value improvement of 2.8 percent vs. the outgoing model. 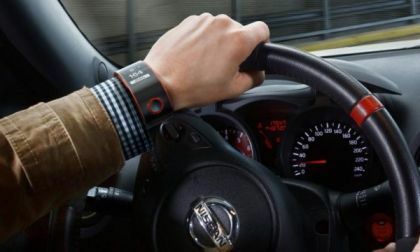 Nissan wants to offer the first smart watch that specifically connects the driver to the car and has unveiled the idea in the Nismo Watch Concept. 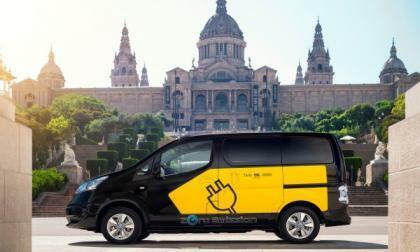 The new Nissan e-NV200 Barcelona Taxi debuted at the 2013 Frankfurt Motor Show, showcasing the future of hired transport in Spain's capital city. 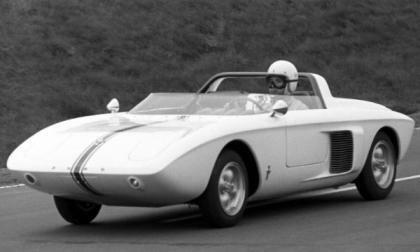 The next generation Ford Mustang will help the Motor Company celebrate 50 years of sports car excellence but what many people don’t realize is that the earliest Mustang Concept from 1962 more closely resembled a modern supercar than it did the original Ford Mustang - and today Ford issued a very brief release containing a handful of videos including a documentary piece about the very first Mustang I Concept. 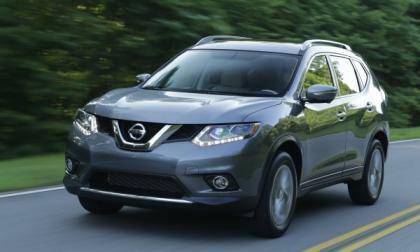 The all-new 2014 Nissan Rogue features a total redesign and enters showrooms in November. 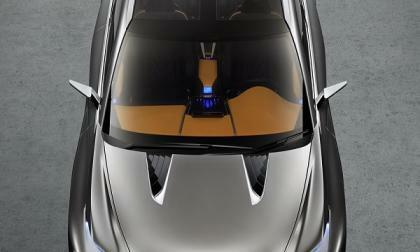 Its unveil coincided with the X-TRAIL in Europe at the Frankfurt Motor Show. The Mazda Hiroshima to Frankfurt marathon completed just in time for Mazda to open its booth at the Frankfurt Motor Show to show off the prowess of the all-new Mazda3. 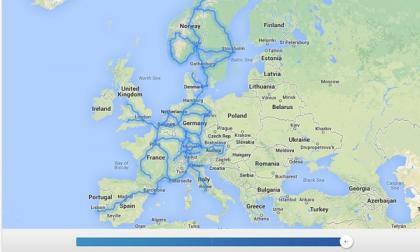 The expanding Tesla Supercharger network is beginning to spread across Europe, and is slated to cover several whole countries, as the company ramps up sales, service and show-rooms across Europe. 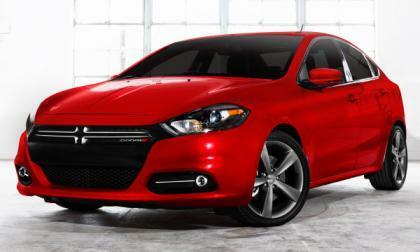 Rumors are floating around the internet that the 2014 Dodge Dart sedans powered by the 2.4L Tigershark 4-cylinder engine will offer 36 miles per gallon on the highway – an improvement of 30% over those Darts powered by the same engine during the 2013 model year. 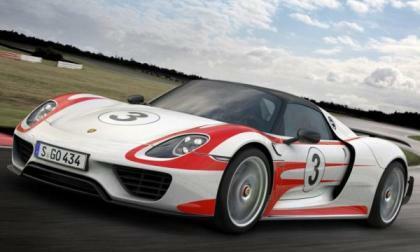 This morning at the start of the 2013 Frankfurt Motor Show in Germany, the Porsche 918 Hybrid supercar made its world production debut and with that debut came the announcement that the new Porsche had shattered the previous Nürburgring production street car record set by the Dodge Viper SRT10 ACR back in 2011 – with the new 918 hybrid turning in an incredible lap time of 6 minutes and 57 seconds. 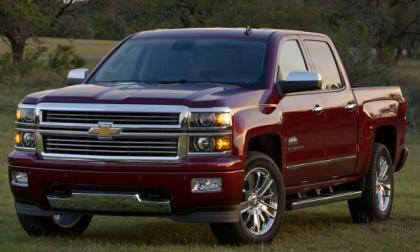 General Motors has announced the official power ratings for the 6.2L V8 engine that powers the 2014 Chevrolet Silverado and the 2014 GMC Sierra – numbers that make the new top of the line GM half ton pickups the most powerful available on the market today. 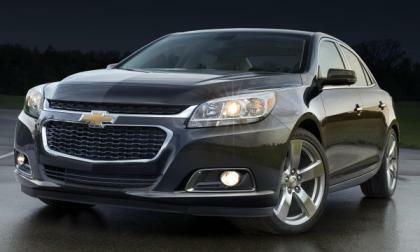 General Motors and the EPA have announced the fuel economy ratings for the 2014 Chevrolet Malibu lineup and in a surprising move, the new base model Malibu with a conventional 2.5L 4-cylinder engine offers identical fuel economy numbers to the higher priced Malibu Eco hybrid – leaving many to question why someone would pay the extra money for the hybrid package. Lexus pulls back the curtain on its first all-new vehicle in years at the 2013 Frankfurt Auto Show, and it is going to shake up the premium compact crossover market. 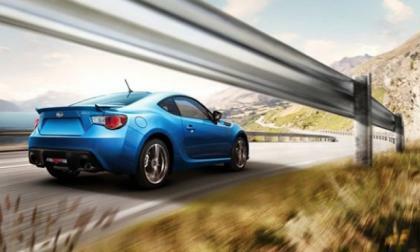 The new 2014 Subaru BRZ has been announced in Canada and it gets some new high-tech upgrades for the new model year. 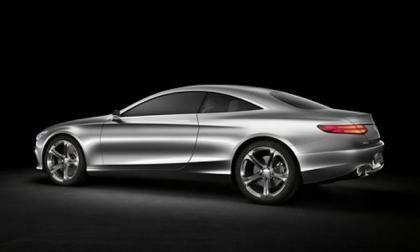 Mercedes unveiled the new Concept S-Class Coupe at the International Motor Show (IAA) in Frankfurt today with all its intelligence. 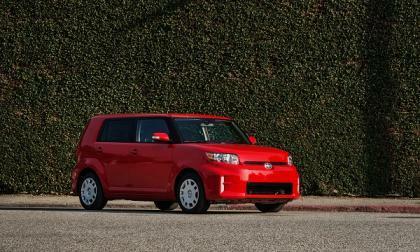 Scion isn't going away is the official word. 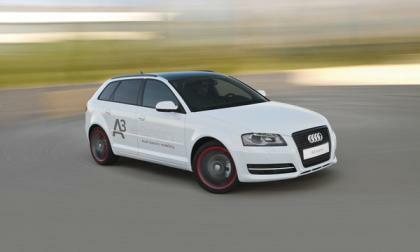 However, there are no new models coming anytime soon. Going away may be a relative term. 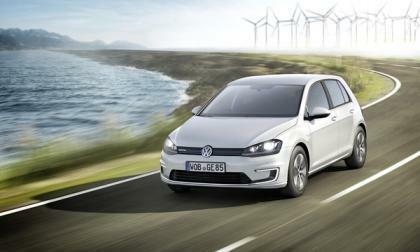 Volkswagen, late to the game of electrified cars, says they have the technology lined up and ready to use across the vehicles manufactured by Volkswagen Group companies. 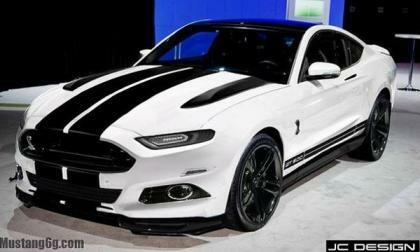 There are lots of pictures of the next generation 2015 Ford Mustang floating around the internet but the one shown above which was discovered by the folks at The Mustang Source at Mustang6g.com is the best that I have seen thus far – although it paints a picture that could be very controversial if the production model does look similar to what is shown above. 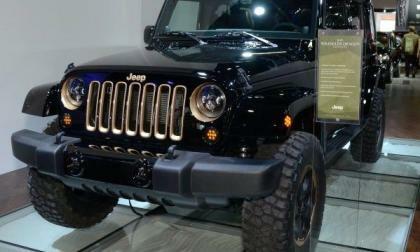 The Chrysler Group rolled out the very conceptual looking Jeep Wrangler Dragon Concept at the 2012 with design cues that seemed ideal for the Chinese market but word on the street is that the Dragon Package has been approved for production and is even reaching dealerships as you read this piece. 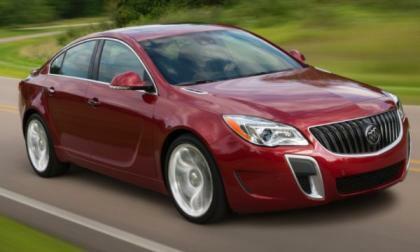 General Motors announced the pricing for the 2014 Buick Regal this morning including the numbers for the new “base” turbo models, the eAssist drivetrain, the “high performance” Regal GS and the new optional all wheel drive setup – with the least expensive 2014 Regal starting at $30,615 with destination. 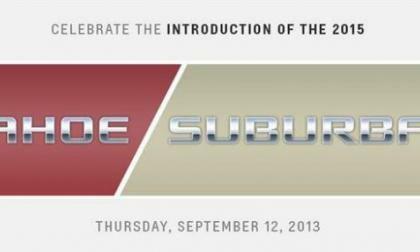 On Thursday September 12th, General Motors will unveil the all new 2015 Chevrolet Tahoe and Suburban in New York City and while the only “information” provided thus far is the logo artwork for each truck - we can make some guesses as to what to expect from the next generation large SUVs. 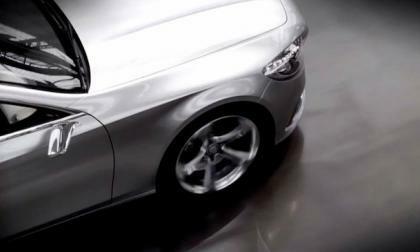 Mercedes just released a teaser video of the new Concept S-Class Coupe that wets our appetites before its reveal at the Frankfurt Auto Show. 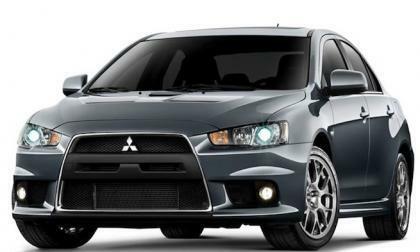 Sales at Mitsubishi are up and the 2013 Lancer Evolution has helped the brand in August here in the U.S.